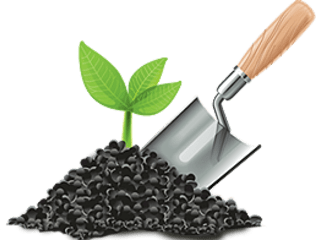 Green Lawn Care & Landscape Inc.
Green Lawn Care & Landscape is an established, 20+ year old company offering complete services in all phases of your landscape’s lifecycle. From the initial consultation, design and construction to the routine care and upkeep of your property, we pay strong attention to detail and listen to your needs. Our combined services make us a leading provider to Greater Boise and Treasure Valley. With one phone call, any service, project or enhancement, whether large or small, can be customized for you. We offer a variety of services from Landscape Design, Lawn Care Services, Sprinkler Installs and Repairs, Fertilization, Snow Plowing and many more. Offering our services to HOA Communities, Residential and Commercial. We Offer a Wide Variety Of Lawn Maintenance Services. From Mowing to Tree Trimming to Fertilization, One Call Does It All. Give us a call and we will come out to give you an estimate. We Provide Residential And Commercial Mowing Services. From Mowing to Edging to Trimming, We Do It All. Need a Quote? Give us a call and we will come out to give you an estimate. We Can Help You Create the Yard of Your Dreams. Need Help With A Design For Your Yard? We Can Help! Give us a call and we can point you in the right direction. Good landscaping increases community appeal. Parks and street trees have been found to be second only to education in residents' perceived value of municipal services offered. Trees, well-landscaped grounds and places for taking walks have been found to be among the most important factors considered when individuals chose a place to live.